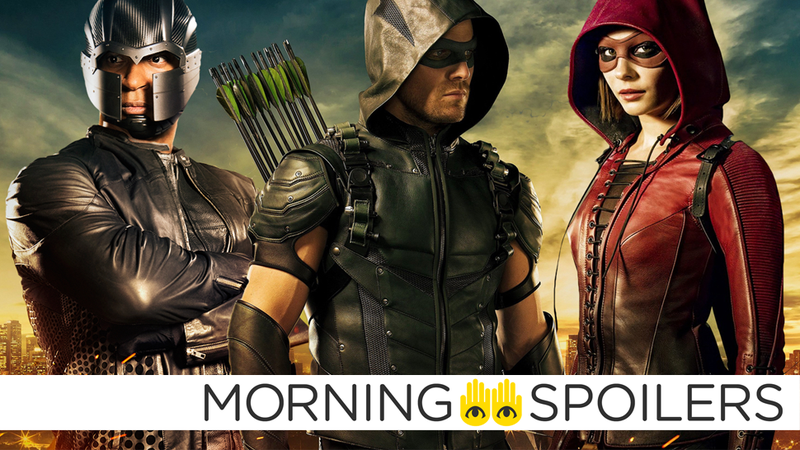 Greg Berlanti discusses the big CW/DC TV crossover special. Daniel Radcliffe is still noncommittal about whether he’d ever return to Harry Potter. Another Clone Wars character is making a return for Star Wars Rebels. Plus new looks at Supernatural and Ghost Rider on Agents of SHIELD. Spoilers Get! I’m never going to close the door; that would be a stupid thing to do. But I think I’ll be happy enough and secure enough to let someone else play it. At the moment it’s not even a concern because I’m too young to play the character, but even in 10 years’ time I would still feel strange about going back to it. The whole Jurassic World is a trilogy that Colin Trevorrow has envisioned. We’re writing the second chapter, and it’s very interesting where he’s leading the story. I grew up watching Steven Spielberg movies and I love those movies and the legacy, so it’s a question of being truthful to the legacy and at the same time, bringing new stuff that people will appreciate. We are still six months ahead of shooting, and so far, so good. It’s very exciting right now. New set pictures from filming have given us our first look at Oliver’s next generation of Team Arrow: Artemis, Wild Dog, and Mr. Terrific (and seemingly a new helmet for Diggle). You really are trying to run a single production across three different productions. But they’re run as three separate entities. We have to figure out when we’re borrowing one actor from where. We’re telling one cohesive story; Supergirl will participate, but the storyline doesn’t actively begin there. There are some characters who show up in her episode, but the story begins with The Flash episode and goes to Arrow and Legends of Tomorrow. We’re just getting into designing the bad guy for it, and we start now but it doesn’t air until the end of November. We will put a lot of time between now and then figuring out visual effects sequences. Just today I was holding the three scripts back-to-back – that’s 180 pages of material. It’s a three-hour story, almost a miniseries. Bryan Fuller calls classic episode “Balance of Terror”, calling it a “touchstone” for what he wants to do with the new series. Here’s a new promo for season twelve. Get the briefest glimpses of Robbie Reyes in action in a new promo. Johnathon Schaech has confirmed he’s returning as Jonah Hex for season two. The fourth season premiere is titled “Echoes”. A weird new promo for the show has been released. Finally, here’s a new trailer for the second season.